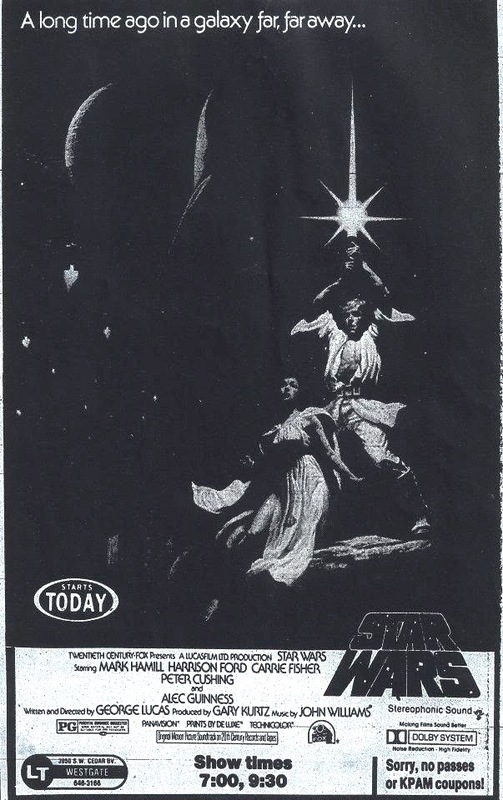 At last, the podcast returns with a Triple Feature dedicated to a special venue in the theatrical history of Star Wars: the Westgate Theatre in Beaverton, Oregon, whose 76 week engagement set the record for the film's longest in North America. 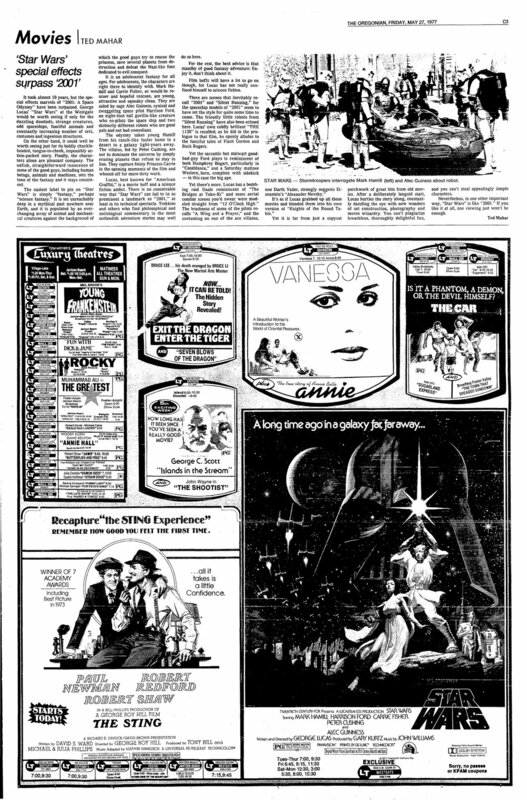 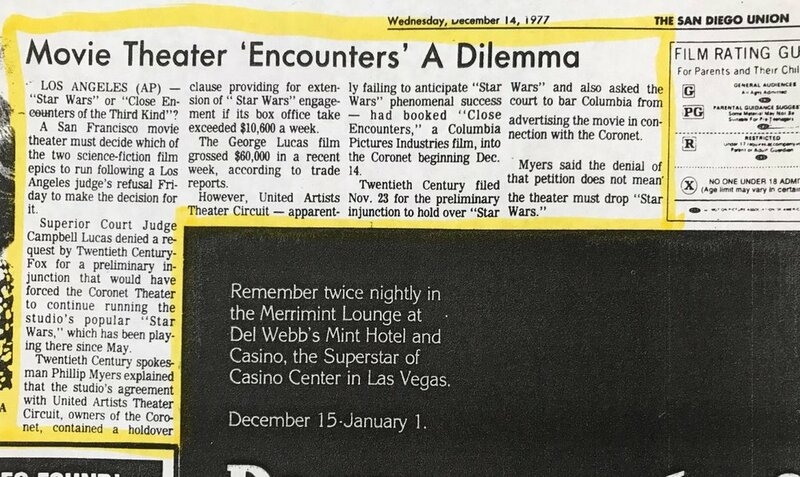 First, Westgate soujourner Tracee Larson remembers her visits to the theater in the Summer of '77 and the empowering impact of Princess Leia. 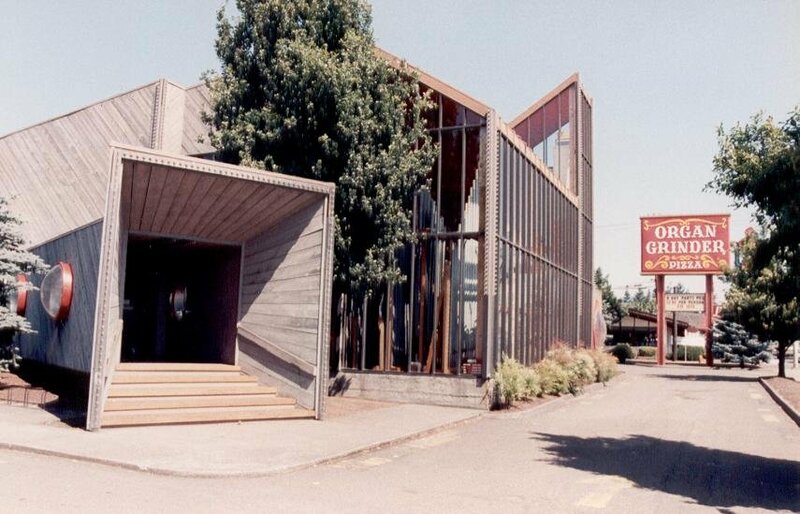 Next, Dave Ewing recounts his time as the young manager of the Westgate during the film's epic run, from dealing with hooligan hijinks to counting the movie's box office cash for hours on end. 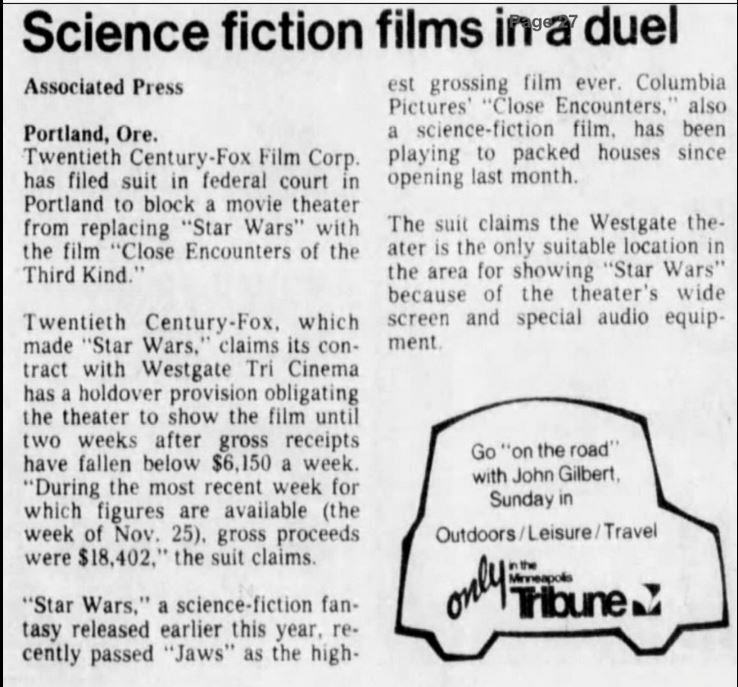 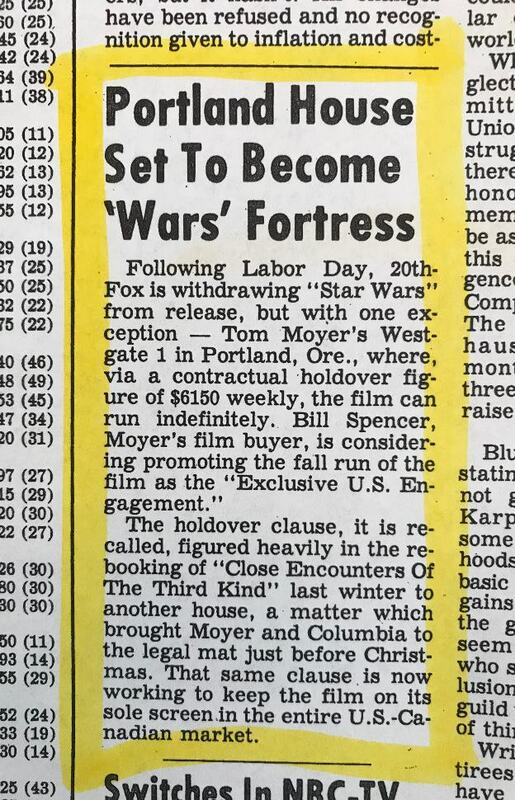 Finally, journalist and film historian Michael Coate sheds light on a court battle for the Westgate's big screen between Star Wars and Close Encounters of the Third Kind.